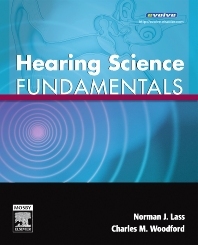 Hearing Science Fundamentals is a basic introduction to the concepts and principles necessary to develop an understanding of the hearing processes. From the physics of sound to the anatomy and physiology of the auditory pathway and hearing mechanism, concepts are presented in a user-friendly, simplified manner, with over 100 illustrations to make learning even easier. Sections on Acoustics, Structure and Function, and Psychoacoustics detail the physics of sound, as well as anatomical and perception mechanisms. Learning objectives and key terms introduce each chapter to enhance student preparation. Two-color line drawings illustrate the physics and anatomical structures related to hearing. Definitions of key terms are easily accessible in the text and glossary. Question and answer boxes reinforce important concepts as presented in the text. Each chapter concludes with questions to test comprehension. Exercises for each chapter appear on perforated pages at the end of the book to strengthen understanding of the concepts and principles of hearing.